In helicopters, as in other aircraft, actuation is a safety critical system. Diakont’s optimized electric servo actuators are remarkably compact and lightweight, making them a uniquely ideal solution for helicopter motion control applications such as rotor blade trailing edge flaps, onboard beam control, and gear and access doors. Using a unique patented roller-screw reducer, Diakont actuators deliver maximal torque values and service lifetime duration with a best-in-class weight/toque (force) ratios. Please see the tabs below for more information. Diakont supplies rotary electric servo actuators to control the trailing edge flaps of helicopter rotary blades. Large helicopter rotor blades can suffer from severe vibration. To counteract these vibratory air loads, some helicopters employ oscillating trailing edge flaps to reduce vibratory hub loads and increases flight range and workload. However, these benefits were offset by the increased weight of actuators based on older technology. Weighing less than one kilo, Diakont’s rotary servo actuator is ultra-compact and allows helicopter designers to take full advantage of trailing edge flap technology. In addition to its successful track record in helicopter actuation applications, Diakont is able to apply its advanced rotary actuators towards other industries that seek advanced rotary motion control. Diakont specializes in tailoring existing electric servo actuator designs to deliver customized solutions to meet specific applications. Contact a Diakont representative to learn more about Diakont’s best-in-class service lifetime solutions. 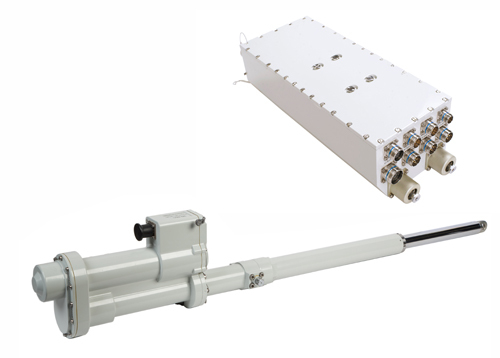 Diakont offers electric servo actuators for onboard beam linear actuation while handling cargo operations. Diakont’s landing gear and access doors actuation system is comprised of a dual-redundant, closed looped kinematic chain that utilizes roller screw gears. This configuration ensures the system is able to withstand single failures if the situation were ever to arise. 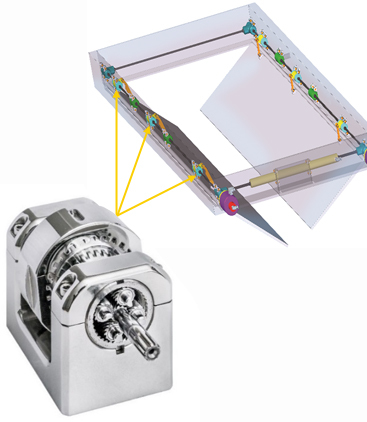 Each roller screw gear is installed on a shaft connected to a dual-redundant motor. Multiple roller screws are used to evenly distribute motor torque throughout the physical system. Utilizing this fully electric design, aircraft dynamics are optimized due to decreased system weight, increased safety features, and minimal maintenance.